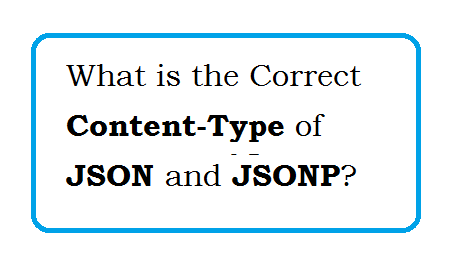 Question: What is the Correct content-type of JSON? Question: What is the Correct content-type of JSONP? JSONP is JSON with padding. Response is JSON data but with a function call wrapped around it.